I approached the guys at Bed Bug Barrier because my house developed a real bed bug problem after staying in a hotel over the Christmas break last year. Not only did I get real advice from someone from the customer service team but it was tailored to my unfortunate situation. They even went to the effort to call and see how the problem was going! I found these affordable products to be the only thing that truly worked without resorting to an expensive exterminator that was way out of my budget, and the best thing about it was that we only needed to do one application of the products and it completely blitzed the problem! 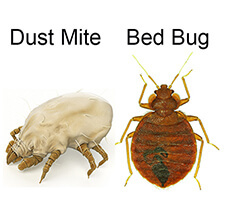 I would definitely recommend Bed Bug Barrier as a first option in eliminating Bed Bugs, this stuff really works.